The Mystic Revealers, who formed in the late 1970's, has it's humble beginnings in the quiet seaside town of Bull Bay just east of Kingston. A group of youngsters including Bobby Tucker, Robert "Black Patch" Walters, Leroy "Lion" Edwards, Howard "Jahward" Smith and Billy "Mystic" Wilmot used to play music on a couple of old Guitars serving as bass and rhythm with a desk and some sticks as a drumset for Jahward in the back of Tuckers Guest House. Back then it was the Revealers... and Patch as the main song writer on one guitar and Bobby on the other with Mystic's added vocals and Patch and Lion adding some crude harmonies... they were a group!, They drew upon Jamaica’s rich, established reggae tradition of outspoken political awareness when writing their original material. They were surrounded by Rastafarians (followers of a complex set of mystical religious beliefs). Like the Rastas, they grew their hair into dreadlocks. Wilmot told Vibemagazine’s Rob Ken-ner, “We were all awed by the magnificence of Rastafari. And at that time, it was what was most progressive. Crude Start... As they got older, they decided to make music a real career and went in search of a producer. They checked Ms. Potinger, Randys, Tuff Gong, and a slew of other leads and contacts but they all added up to nothing. At that point Billy sugested they they doit for themselves! They saved their money and between Lion and Mystic, purchased their own tapes, booked their own studio time, mixed, cut stamper and pressed their first single entitled "Winner". They pressed 100 coppies and started to distribute it. "Every one wana be a winner...! It must be a hit!" They found out very quickly however that the music busines is not a very welcoming one. Payola was a new concept to the budding stars who thought that music was played on the airwaves based on it's own merrit. It was a rude awakening. None the less they continued rehearsing and Mystic started writing alot of songs that the rest of the group believed in... and it provided hope . They were becoming more competent as musicians and the band began to develop a sound. Over the next couple of years some additional musicians were added and some left. Bobby gave way to Rudolph "Pretty" Bonito as lead guitarist, Jahward gave way to Nicholas "Nicky Cymbal" Henry as the drummer. William "Willigan" Cockin was added as a percusionist and Pierre "Sweet P" Diaz added his Saxophone to the sound. It wasn't untill 1985 when they burst onto the global reggae music scene in with their first major hit single, “Mash Down Apartheid”, Produced by reggae legend Jimmy Cliff, the song equates political revolution with personal spiritual upheaval in a potently mystical manner. Proceeds from its sale were donated to South Africa’s African National Congress (ANC) to assist in that nation’s struggle for racial, social, and political equality. This philanthropic gesture, unusual for a first-time success, accurately reflects the convictions, sensibilities, perspectives, and priorities of the Rastafarian, politically-oriented Mystic Revealers. They played a few local engagements and caught the ear of producer P.C. Harris who decided to record a 4 song demo to try and find a record company to produce an album. He took the demo to Caliifornia and came back with zilch! At that point they were aproached by Julius Chinyee who offered to work with them as manager and produce their first album. The group aproached P.C. to use the tracks on the album but he hit them with a bill for recording costs, airfare and expences for the trip to California and whatever else... Julius then took them into the studio and produced a demo version of the first album "Young Revolutionaries". The album which ended up being released locally as it was got much critical acclaim and as a result a contract was garnered from another local producer Mikey Lee who ran Kariang Productions. Kariang decided to re-record the album and the tracks that were done for P.C. The final result was the world aclaimed debut album "Young Revolutionaries" believed by many to be their finest. 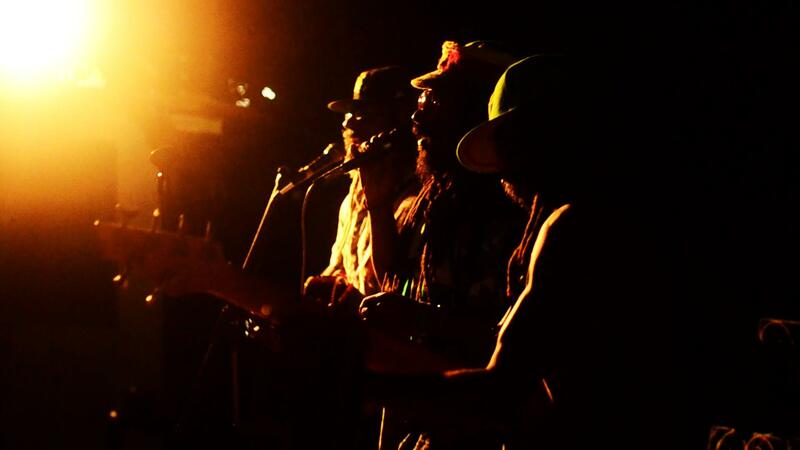 Their first tour was 1991 when as a result of their successful performance at Reggae Sunsplash they were contacted to do a 13 date UK tour for the British Arts Council. 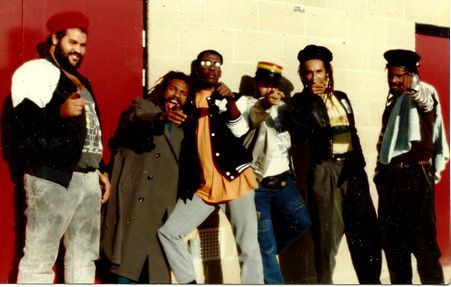 The group toured Japan, the United Kingdom, and Europe, 1985-91; performed at the Reggae Sunsplash Festival, 1988; released debut album, Young Revolutionaries, 1992; toured 17 American cities to promote the singles and videos “Religion” and “Remember Romeo” ; performed at the EXPO 1992 in Seville, Spain; participated in the 1993 Reggae Sunsplash tour and the 50th birthday celebration concert for Bob Marley in Jamaica, 1995. 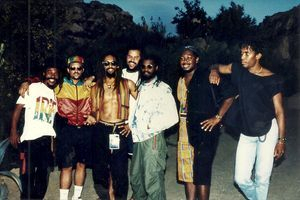 At a 50th birthday celebration concert held in Jamaica in honor of Bob Marley in February of 1995, the Mystic Revealers performed along with reggae greats the Wailers, Rita Marley, actress Vanessa Williams, vocalist Judy Mowatt, Toots Hibbert, Ziggy Marley, DJ Tony Rebel, and the veteran roots group Wailing Souls. Billboard contributor Garry Steckles, who attended the show, wrote, “The most solid and satisfying performance of the evening was provided by the Mystic Revealers, one of the few serious roots groups to emerge in Jamaica in recent years.” Their rendition of “Natural Mystic,” “We and Dem,” and “Religion” won over numerous new fans that evening, including other respected reggae musicians. Although the Mystic Revealers released their first single, “Mash Down Apartheid,” in 1985, and the single was popular, they did not release their first album, Young Revolutionaries, in the US until 1992. Between 1985 and 1991 the band toured Japan, the United Kingdom, and Europe. Then, in 1992, they toured 17 American cities to promote their singles “Religion” and “Remember Romeo.”Their second album, Jah Works, was released in 1993 and their third, Space and Time, came out two years later. The cover art for the band’s album Jah Works features symbols from ancient Ethiopian scrolls, which highlight the performers’ mystical, ancient Rastafarian perspective. The’93 release was listed at Number Two on the Planet Reggae Top 40 Chart. Meanwhile, their ’95 effort, Space and Time, steadily gained popularity in the States. Video exposure in the United States—especially on the Black Entertainment Television (BET) cable network—is helping to spread word of the Mystic Revealers to mainland American listeners. Over a dozen 45's including collaborations with Sizzlah, DJ Sojah, Kulcha Knox, Rappa Robert and Angie Angel. Today the group is down to Mystic, Cymbal and Lion who are rehearsing for a revival tour "... is like we a come from scratch again but dis time it sweeter cause we a start wid di drum and bass with the vocals and a scratch guitar. When dat good we a go add di keys, bring Sojah pon di percs and DJ and den we good to go..." said group leader Billy Mystic earlier in the year ".... we would love to be back on the road by summer 2013!" “Mash Down Apartheid,” Gong Sounds, 1985. “Gotta Be a Better Way,” Uni/MCA, 1993. “Religion/Remember Romeo,” RAS Records, 1994. "Young Revolutionaries", Gong Sounds, 1992. "Jah Works", RAS Records, 1993. "Space and Time", RAS/REP Records, 1995.